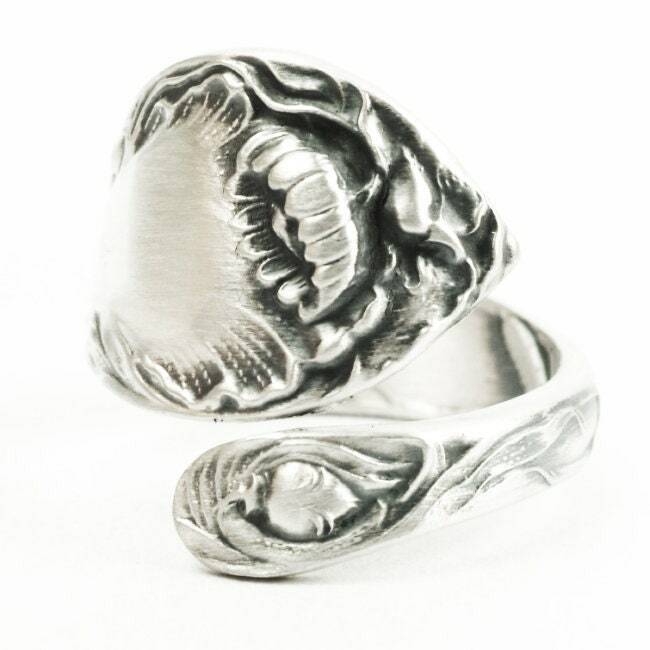 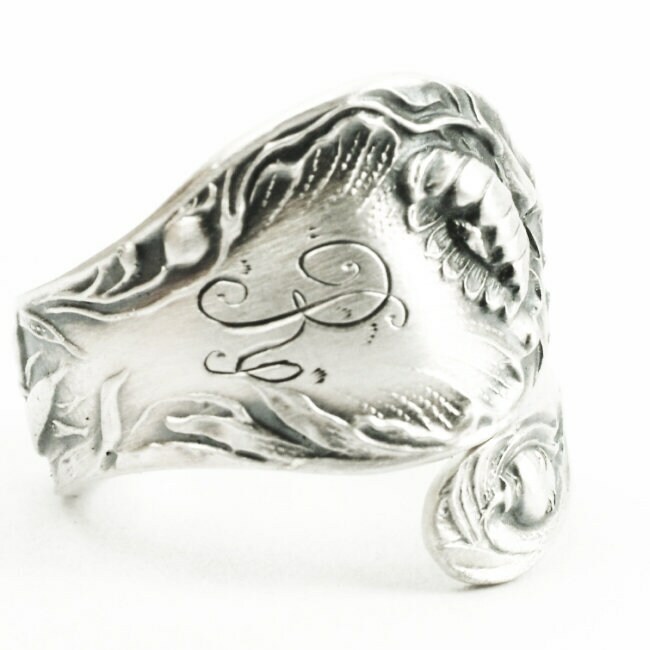 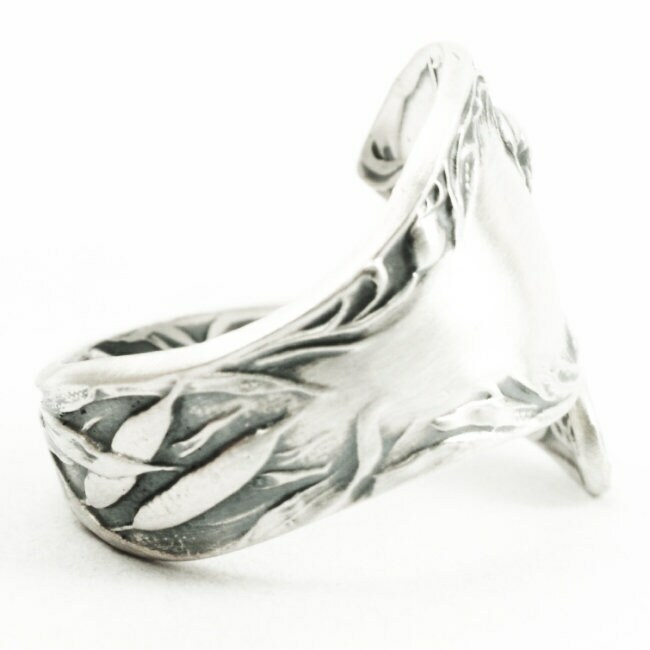 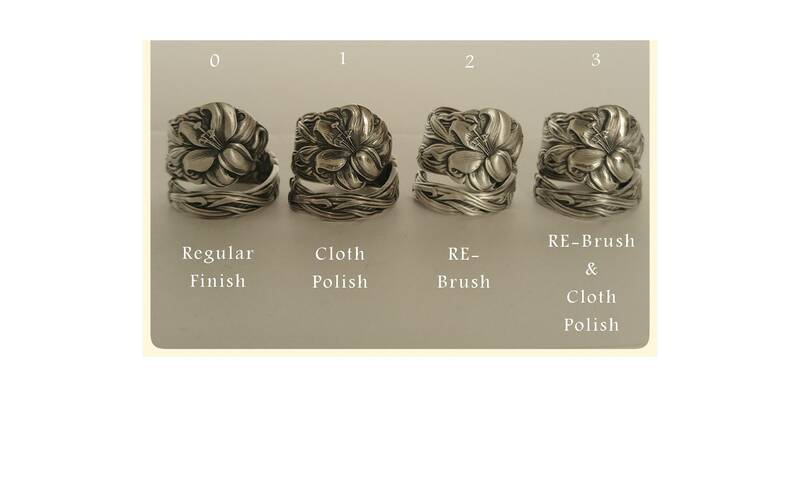 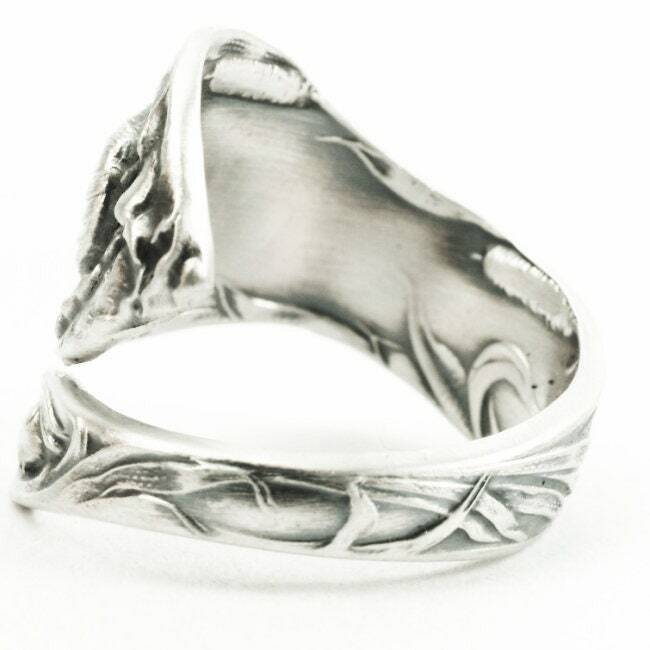 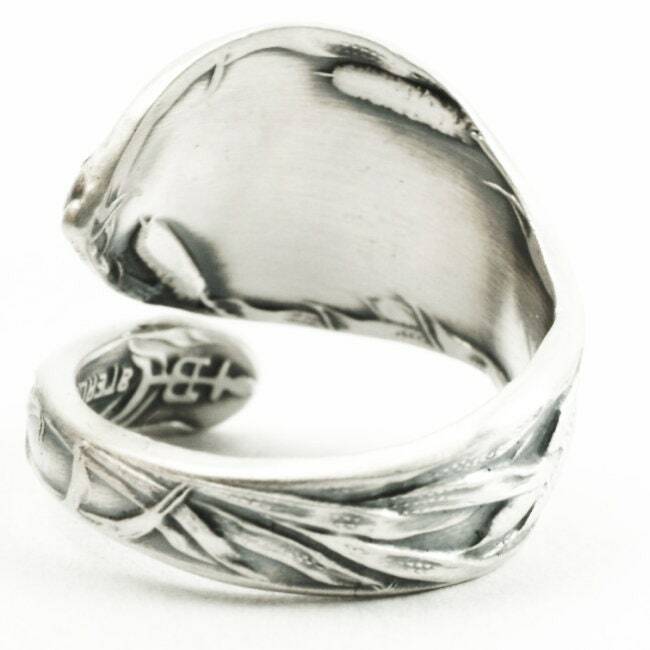 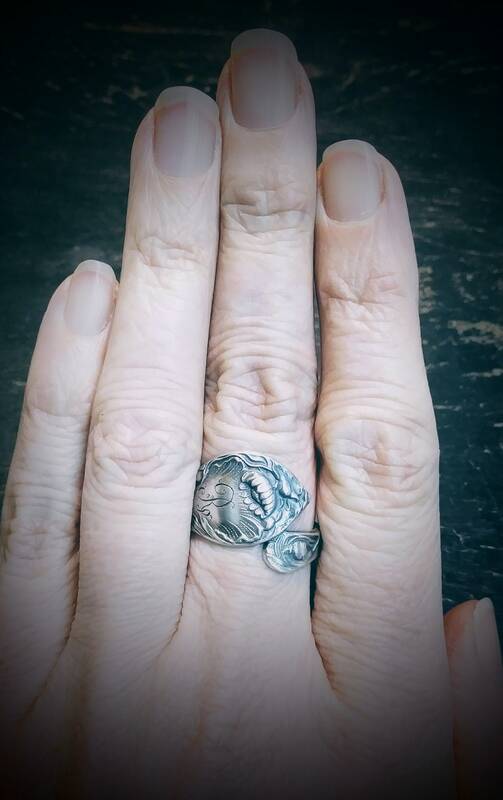 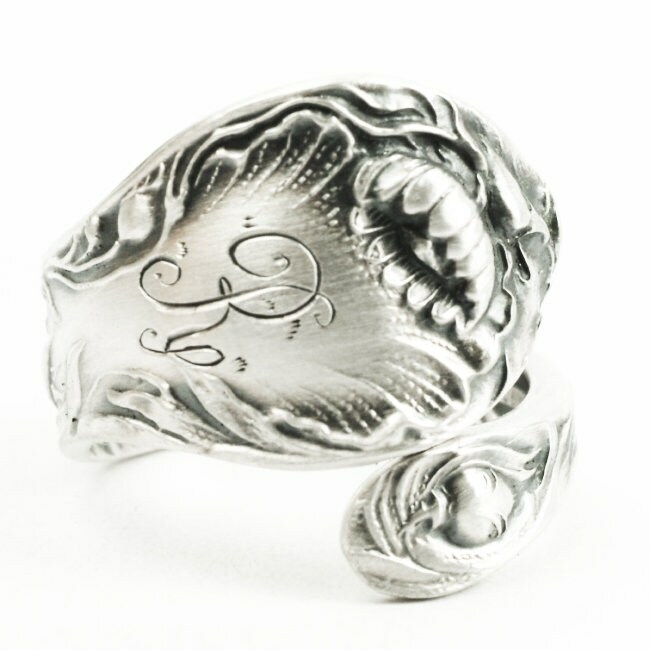 Lovely Lotus Blossom Flower pattern on this antique sterling silver spoon ring, by Blackinton! 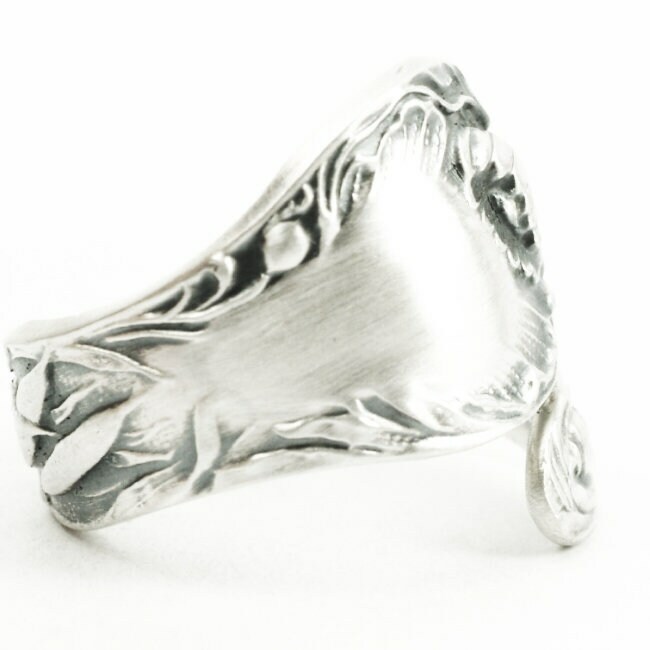 This spoon has a one detailed pond lily in lovely feminine detail, with some cattails farther down the design. 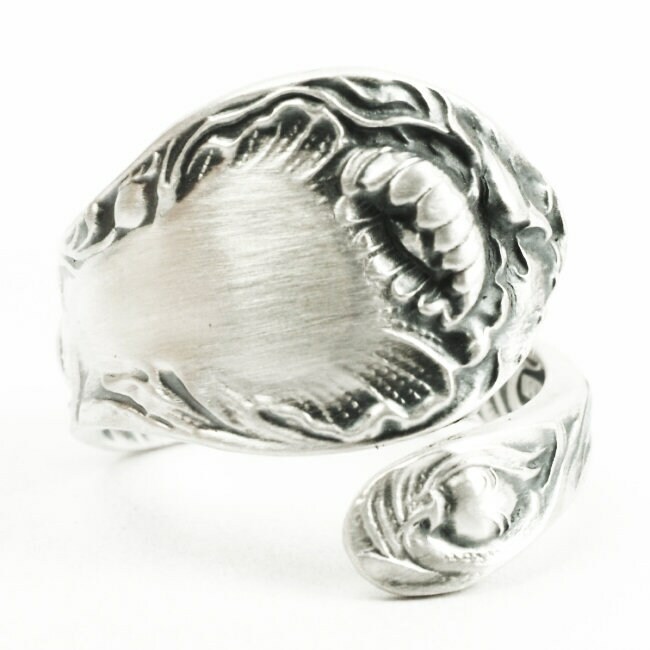 This RARE spoon was made by Blackinton in 1901 called, "Lotus".